Most of this content used to be part of the main My Scrapbook page but as of 2015-11-14 I’ve given it a sub-page of its own since it was getting a bit long. 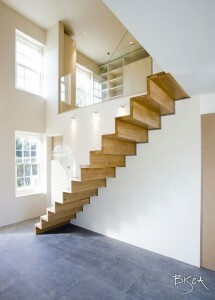 The staircase above has a simple form-follows-function design. I don’t mind seeing the joints that hold the treads and risers together when they look as good as this. 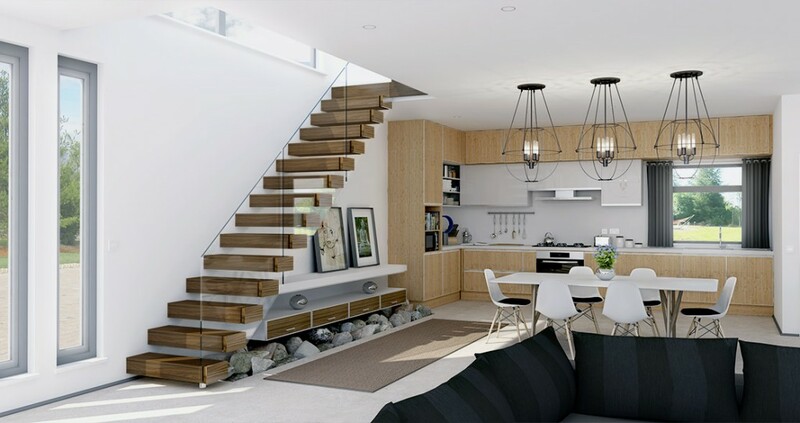 The cantilevered staircase above has a very simple, clean appearance – it looks like the glass is slicing through each of the treads. These treads are in walnut but I’d prefer something a little paler, probably oak. 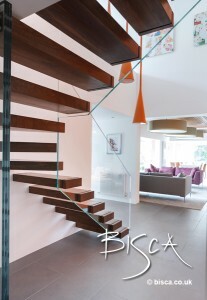 The photo above shows another Bisca staircase, a little like the one from Meer End. 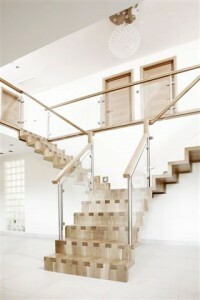 The photo above shows another cantilevered staircase with a different take on the balustrade. 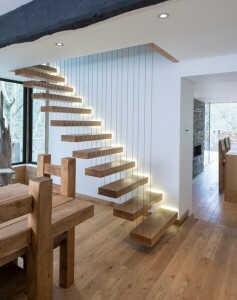 The staircase above is similar to the first one from Bisca and is pretty much exactly what I want. I think the wood here is Walnut whereas I will be using European Oak, to match the other wood flooring on the landings and elsewhere in the house. Staircase Scrapbook by Marsh Flatts Farm Self Build Diary is licensed under a Creative Commons Attribution-ShareAlike 4.0 International License.